Starting this week, U.S.-based Facebook members can express what they’re watching, reading, listening to, eating, drinking, or how they’re feeling in status updates. 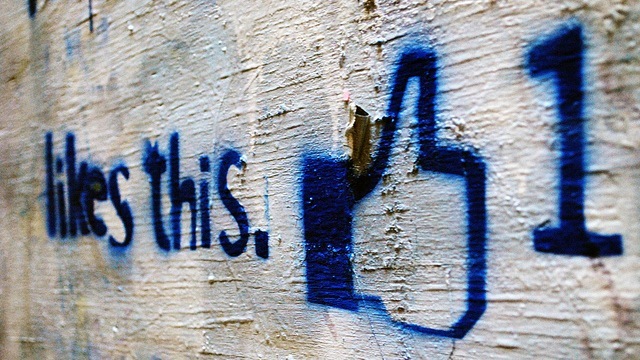 This might not seem like a big deal for brands, but it is, and here’s why. While functionally this is nothing new — Facebook has always allowed members to share whatever it is they’re doing — the update encourages people to tag specific items or Pages. This will help to bring more searchable and useful data to profiles. 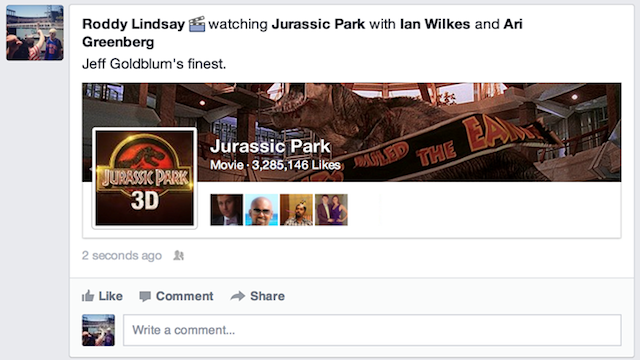 For example, if someone is watching Jurassic Park and links to the movie’s page, the post will include Jurassic Park‘s cover photo and profile picture on that individual’s Timeline. Mentioning the movie will automatically add it to the Movies section on his or her profile as well. As a brand, in particular lifestyle brands, it’s critical that you carefully choose your cover photo and profile picture, as the pair are more important than ever. Now both assets appear on highly trafficked areas of the website: on News Feed and Timeline. What’s not clear is whether all Pages will be represented or just those relating to an interest. For example, will Sprout Social’s visual assets appear when mentioned or just references to the TV show someone is watching? It seems that only certain pages will be included, but we’ve reached out to Facebook and will update this post if we hear back. In either case, the Pages represented will have a good chance of increasing awareness, and maybe even Likes. And by adding more searchable and useful data to Timeline, Facebook is enhancing Graph Search, which could come in handy for market research. It’ll also be interesting to watch what kind of impact, if any, this will have on future advertising products. [Update 8:18pm:] Facebook clarified that only Pages related to the action in your status will be displayed. For example, if someone wrote that they are “eating Subway,” then Subway’s assets will appear in the post. However, if someone wrote that they’re visiting Sprout Social, our Page data would not appear.